The 19th Annual Black Diamond Ball – the Vail Valley Foundation’s largest fundraising event – is coming to the Park Hyatt Beaver Creek on Saturday, Feb. 17 at 6 p.m. The event will feature live performances, dinner, drinks, dancing, as well as auction items that include a trip to France to stay in Julia Child’s La Pitchoune home, a South African luxury safari, or a private tour of Italy’s Tuscany region. The Black Diamond Ball has become known as the ‘best social event of the year’ in the Vail Valley, and benefits the Vail Valley Foundation. Tickets are still available at www.blackdiamondball.com. “The Black Diamond Ball is one of the great traditions of this valley, and it is thriving at its new place on the calendar over President’s Day weekend,” said Mike Imhof, President and CEO of the Vail Valley Foundation. All proceeds from the Black Diamond Ball will be used to fund the various projects and programs the Vail Valley Foundation hosts, including YouthPower365, Vail Dance Festival, the Vilar Performing Arts Center, GoPro Mountain Games, Gerald R. Ford Amphitheater, Birds of Prey World Cup, and more. 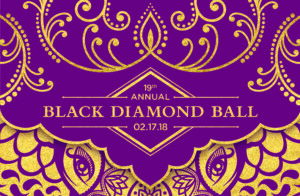 Tickets for the Black Diamond Ball are on sale now through www.blackdiamondball.com. For questions about ticket levels contact Whitney Harper at wharper@vvf.org or call 970-777-2015. Vail Valley Foundation activities and events are made possible by our donors and cornerstone sponsors GMC, EverBank, and Vail Resorts. Visit www.vvf.org to learn more.